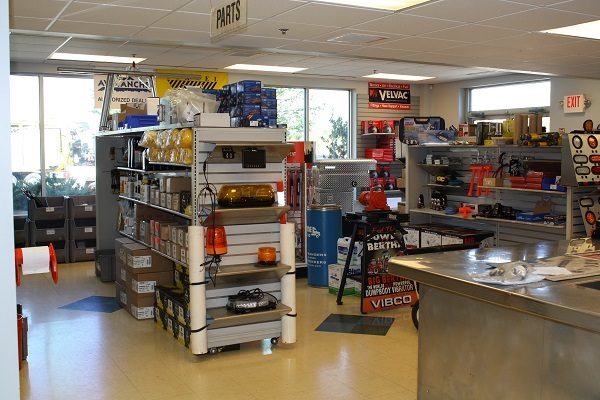 The Donovan Equipment Parts Department works with over 50 vendors to offer you high quality parts and accessories for your work truck at competitive prices. Our customers appreciate the wide range of parts and accessories we keep in stock and available when they need them and our knowledgeable parts associates are here to make sure you know about the right products that best satisfy your requirements. For ease and convenience of ordering 24/7 visit our online parts catalog! Click the links to the right to browse by category. We send daily shipments via UPS Monday-Friday to anywhere in the contiguous United States. Some items are customer pick up only or must be delivered via common carrier due to size and weight restrictions. Due to the nature of our inventory, not all products are listed or available in our online parts catalog. If you don't find what you are looking for or are interested in placing a custom order please contact us during regular business hours (M-F 7:30-5:00; Sat. 7:30-Noon EST) or visit us at our Londonderry, NH location. Call, click or visit we are here to help you! ASK US ABOUT PARTS DELIVERY IN NEW HAMPSHIRE, MASSACHUSETTS & SOUTHERN MAINE SEACOAST AREA! Our Parts Department is on the road to serve you better! Contact us if you would like a Parts Associate to visit you at your facility.